This Versatile pouch can be used as a small pouch, waist bag or utility bely pouch. 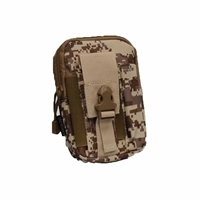 It can easily carry your cell phone and accessories when you are out for work or pleasure. 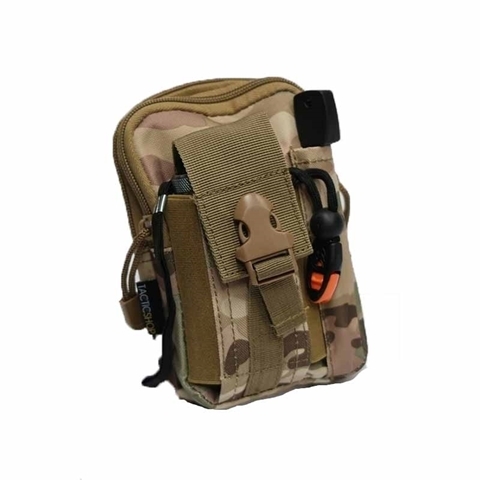 The pouch has Molle attachment to connect it to your vest, Molle system or belt. 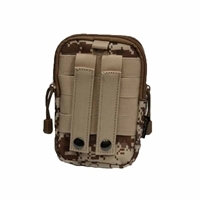 The pouch is made out of reinforced Nylon. 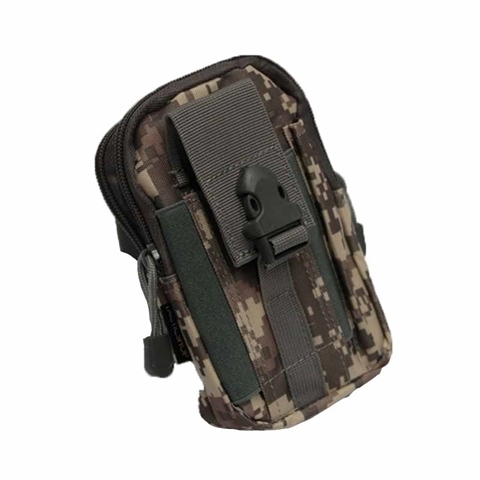 Front pocket secured with an adjustable buckle & Pen pocket. Two utility compartment including an inner pocket in each of them. 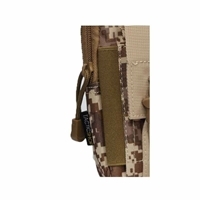 Back Molle straps, Molle connector and hanging loop. Available in Six new colors: OD Green, CP, Desert, ACU, Desert Digital and Black.